As global demand for project managers continues to grow at a rampant pace, it is essential for a candidate to know the industries that are offering the best options for project managers. We have compiled a list of 5 high-paying industries that are growing in their project management job opportunities. With complex and stringent regulations followed in the aerospace industry, a qualified project manager is a necessity. In the engineering industry, more than 75% of projects have schedule overruns, 55% have budget overruns and 37% fail to meet the goals. The primary reason attributed to these pitfalls is a short supply of project managers with professional training and experience. 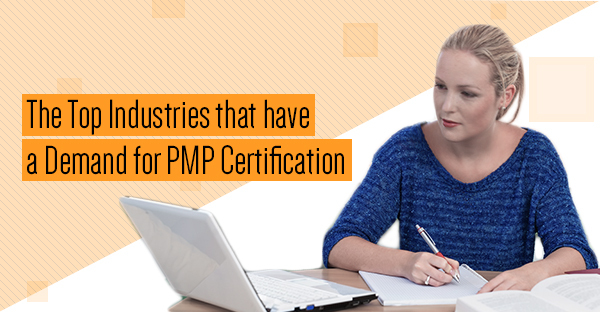 Project managers who are PMP certified can revive the industry by adding professional experience to projects. Project management as a discipline has seen rapid growth and development in information technology. In fact, major IT corporations are now providing PMP onsite bootcamp training in order to help retain their employees and meet the increasing need for project managers. The need for qualified project managers has increased by 20% in recent years in the IT industry. Project managers with risk identification and management skills are in high demand. From handling mergers and acquisitions to monitoring stock underwritings, project managers will become key decision makers in banking, financial services and insurance. The healthcare market is growing at a steady pace of 10-15% and is becoming one of the major sources of project management activity. 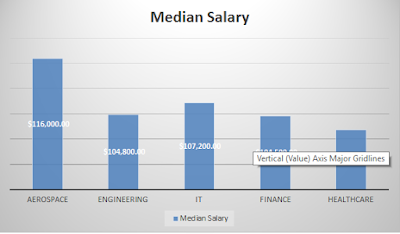 The median salary of these industries is depicted below. 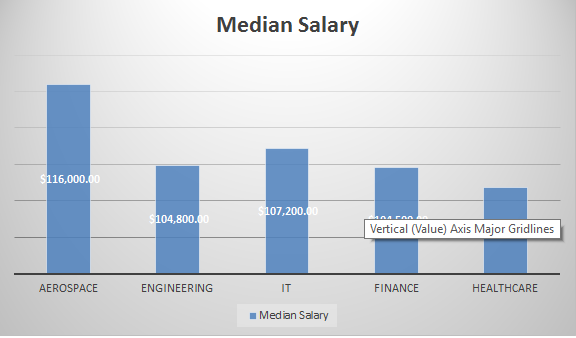 All of these stats and discussions lead to one conclusion: Aerospace, Engineering, IT, Finance and Healthcare industries are set for growth, which project managers can tap into for fulfilling employment.